This article is the third in a four part series. Batteries are like bacon. They just make everything better. If humanity is a cyclist, and the clean energy transition is a 30 year time trial, then it goes without saying that we’re going to need to drastically improve our bicycle. A lot of time, money and human ingenuity has already gone into that. Right now though, it’s not enough. The wind might be turning our wheels, and there’s plenty of solar to keep the pedals going, but to make it really work, we’re going to need a little lubricant. Fortunately, hot on the heels of the wind and solar revolutions, we’re seeing a similar one in storage. Battery prices in the last five years have plunged dramatically, way faster than forecasters expected. That’s due to the learning curve in manufacturing capabilities brought about by first smartphones, and now electric vehicles. The improving economics of those batteries mean that new clean energy projects around the world are starting to come with storage options attached. South Australia for example, is home to the 100MW Hornsdale Tesla battery, the world’s biggest, most badass storage system. It was famously built in less than 100 days for $66 million, as a result of a bet between two tech moguls on Twitter, and in its first year of operations has stunned energy nerds around the world with its speed, accuracy and versatility. It set that standard within weeks of being switched on, when a coal plant in the neighbouring state of Victoria tripped and went offline. The Tesla battery delivered 100MW into the national electricity grid in 140 milliseconds, so quickly that the regulator didn’t even have the right metrics to measure it. The battery’s next trick came in January 2018 when the Australian Energy Market Operator asked power generators to supply them with extra energy to help maintain the grid’s frequency. Usually the big gas generators, despite having way more capacity than required, charge prices that are up to ten times higher because they know they’ve got everyone over a barrel. Unfortunately for them this time the Tesla battery was there, bidding into the market to ensure that the prices stayed reasonable. Rather than jumping up to the usual prices of AU$14,000/MW, the battery and the adjoining wind farm kept them at around AU$270/MW. This saved several million dollars in charges in a single day, which would have been passed on to other power generators and ultimately, consumers. As a result of these and other grid modulation services, in its first six months of operations, the Hornsdale installation has made around $9 million. In addition, its operator expects to receive another $7.5 million in its first year from selling stored electricity back to the grid, bringing total expected income for its first year of operations to more than $25 million. The battery in other words, is on track to pay itself off in less than three years. Utility companies around the world are sitting up and taking notice. The payback time for most of their generating plants and infrastructure is usually measured in decades, not years. In early 2018 it was the turn of American energy analysts to lose their minds when a utility company in Colorado revealed ‘shockingly low bids’ from developers. With storage technology costs included, the average price for wind was lower than the operating cost of all of the state’s coal plants, and for solar plus storage, the price was lower than three quarters of operating coal capacity. 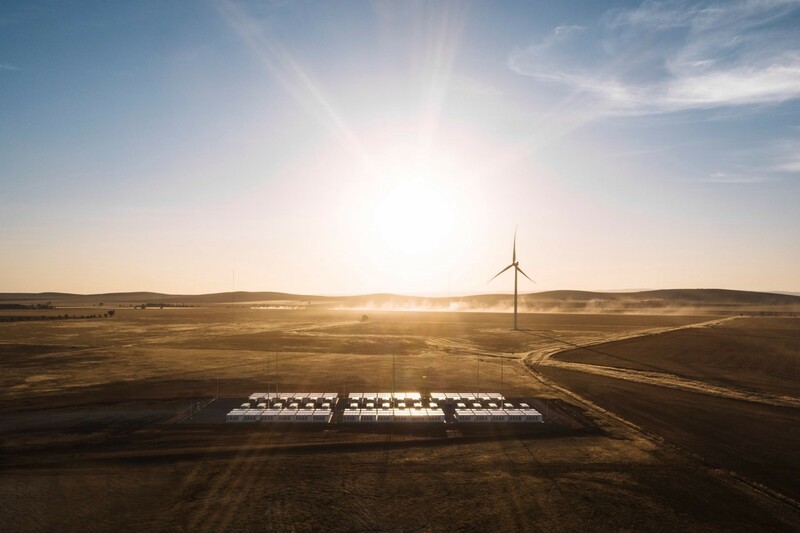 The Hornsdale wind farm in other words, is just the first in a whole new wave of clean energy projects that are now coming with batteries attached. And as costs drop, it won’t just be coal that gets pushed out, but gas too. The rise of renewables was expected to produce a surge in the sales of small gas turbines, used for responding rapidly to power shortages. However, General Electric, the world’s leader in gas turbines, has just released results showing how wrong this assumption was. The company has sold only 9 units worldwide so far this year, down from well over 40 in 2017. The market is now less than half what GE was predicting in April 2018. The whole global gas turbine market is sharply contracting but the rate of decline is fastest in the sector that was expected to be the most resilient. Instead, battery installations are growing more rapidly than forecast. In 2018, the average price of a lithium-ion battery pack is $176/kWh — a price that’s fallen 85% in real terms since 2010 due to tech improvements resulting in higher energy density at the cathode material, cell & pack level. That is an insane cost reduction, and it looks set to continue at a similar pace. Research by Bain & Company estimates that by 2025 large-scale battery storage could be cost competitive with peaking power plants — and Bloomberg has just released a new report showing that the cost of utility-scale lithium-ion battery storage systems will slide another 52% between 2018 and 2030. 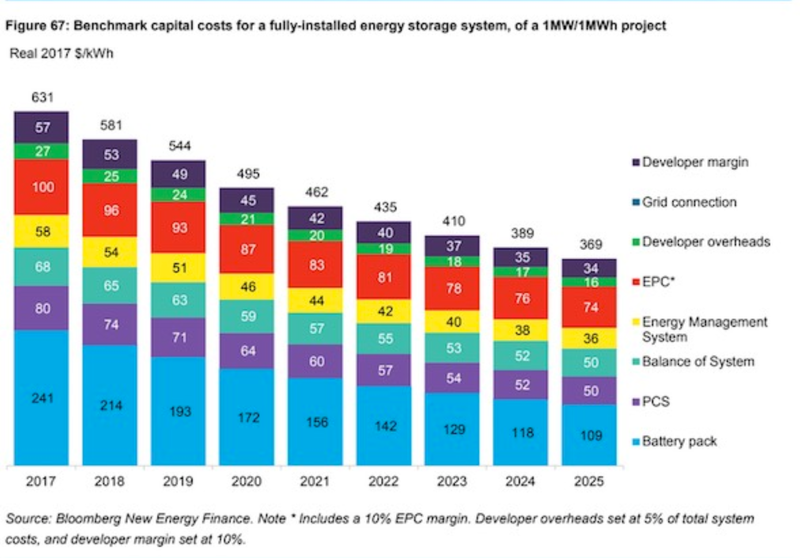 The same report suggests the global energy storage market will attract $1.2 trillion in investment over the next 22 years, growing to a cumulative 942GW. That’s a staggering amount of capacity — equivalent to around half of China’s entire electricity consumption. Critics of battery farms say they can’t handle all the chores of a stable grid. That’s true. But it’s also kind of irrelevant. What the Hornsdale farm’s first year of operations show is that the most important innovation for clean energy isn’t storage. It’s large scale grids that mix solar and wind — and batteries are the thing that makes that mixing possible. They aren’t there for storage; they’re there for lubrication. They make the grid work more effectively. They’re there to store a few hours of power, smooth out the curves, regulate flows and drive down costs. They provide a super quick, flexible, much-needed injection of reliability and resiliency into our electricity networks. They’re the missing link in a distributed energy system that will eventually mix counter-cyclical surges of solar and wind. We’ve got better technologies coming in this area too. In some parts of the battery industry, the focus has moved from using liquid electrolytes to solid state batteries, which provide safer and more powerful energy storage. Toyota says it’s working to commercialise the technology in the early 2020s, and British car company Dyson says it will invest $1.3 billion to build an electric car using solid state batteries within three years. In Massachusetts a startup has developed a lithium metal battery that has double the energy density of current lithium-ion batteries, and is now selling them commercially for use in drones. In large scale storage, the most exciting development is what’s known as vanadium flow batteries, which are nonflammable, compact, have a lifetime of 15,000 cycles, discharge all of their stored energy and do not degrade for more than 20 years. In other words, they’re safer, more scalable, longer lasting and and they cost less than half their equivalents in lithium-ion. In China more than 30 projects with vanadium flow batteries have been deployed, including one that’s twice the size of the Tesla battery in Australia. The battery industry is also working to reduce the cost of existing technologies, by removing for example, expensive cobalt from the cathodes of lithium ion batteries, and replacing them with nickel or manganese. These metals are cheaper, more abundant and safer to work with, and using them would also reduce the human cost, because many mines in Congo, the world’s leading source of cobalt, use children to do difficult manual labour. Researchers are also using new X-ray techniques, as well as electron microscopes and scanning probes, to watch ions move and physical structures change as energy is stored and released, allowing them to imagine new battery structures and materials. Dear future generations: Please accept our apologies. We were rolling drunk on petroleum. If you’re looking to do something about climate change, then it’s not just electricity we should be worrying about — it’s the transportation sector. Crude oil is the largest energy source on the planet, accounting for around 39% of fossil energy, followed by coal and natural gas at 33% and 28% respectively. The reason for oil’s dominance? The transportation of people and goods accounts for about a quarter of the world’s energy consumption, and around one seventh of global carbon emissions. In some places the proportion is even higher. According to the Union of Concerned Scientists for example, the US transportation sector — which includes cars, trucks, planes, trains, ships, and freight — produces nearly 30% of emissions, making it the largest source of carbon dioxide in the country. That means that a clean energy transition is impossible unless we make vehicles clean too. You can’t do one (cleaning up electricity) without doing the other (cleaning up transportation). Take another example, Germany. In 2017, the country’s energy industry saw its emissions fall by 4.1%. 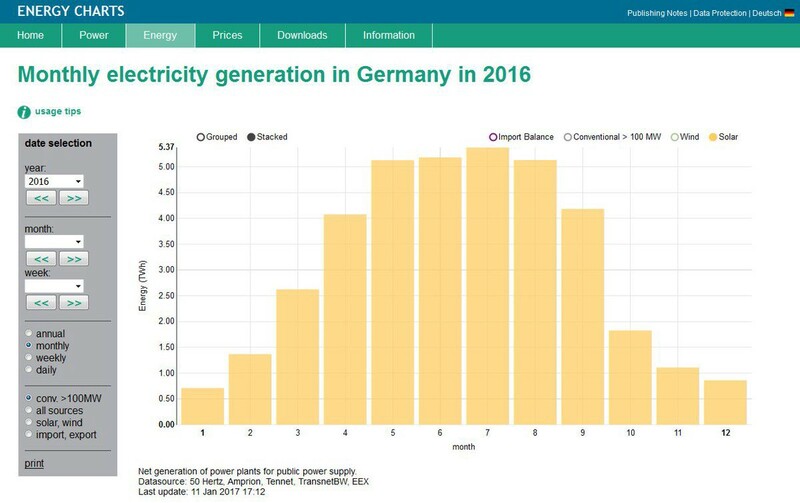 That came as the result of an incredible, unprecedented push to decarbonise electricity; the famed Energiewende. However, overall emissions fell by only 0.5% because of an increase in emissions from the transport sector. The government has been getting it right on electricity, but has been blindsided as a booming economy increased car ownership and led to more heavy vehicles on the road. Germany’s transportation sector is the now nation’s second largest source of greenhouse gas emissions, and if these trends continue, will soon become the first. In California, the balance is even more skewed. The power sector is now responsible for less than 16% of the state’s greenhouse gases, while transportation produces 41%. Cleaning up transportation is therefore the state’s number one priority if it’s going to become the world’s first major economy to successfully decarbonise. This challenge extends to the United States as a whole. It doesn’t matter how fast coal plants close down — if the economy keeps on growing, emissions from factories, planes and trucks are going to go up, and can easily offset all the gains made by decarbonising electricity. Right now, there are few policies in place to clean those sectors up. This challenge is one faced by all countries, and it’s going to become even more important as we get closer to the finish line of the Trillion Dollar Time Trial. By 2050, about 70% of the world’s population will live, commute and work in cities. Urbanisation is going to require radical changes if cities are going to meet demographic pressures and maintain economic growth without increasing congestion and pollution. Mobility and energy are interlinked in that process. You can’t have one without the other. If you make electricity clean, without worrying about vehicles, you’ve neglected one of the largest parts of your energy system. Vice versa, as energy storage expert Dénes Csala points out, if you only clean up transportation, but forget about your electricity, then cars charged with electricity from a coal-fired power plant actually create more emissions than a car that burns petrol. For a switch to reduce net emissions, the electricity that powers those cars must be renewable too. A successful transition to clean energy means you have to solve power AND transportation, simultaneously. In 2006, Who Killed The Electric Car premiered at the Sundance International Film Festival. It was a popular documentary that explored the creation, and subsequent destruction of the electric vehicle in the United States. 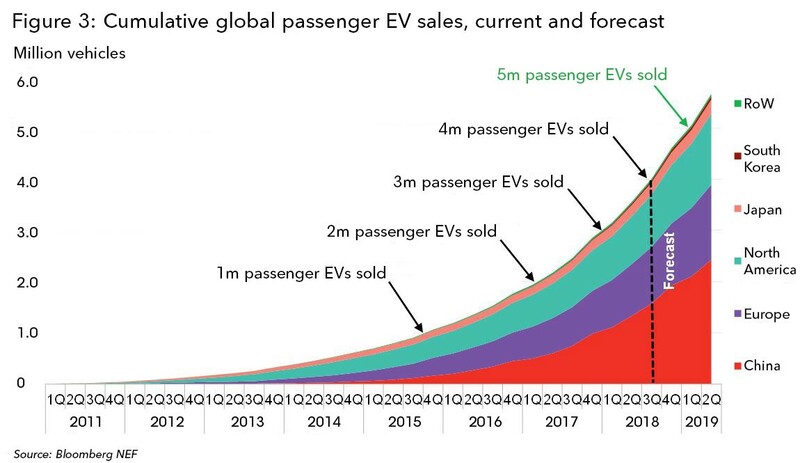 A decade later, electric vehicles are on track to surpass 1 million. As of June 2018, there were 4 million electric vehicles on roads around the world, and the next million will hit the streets in just five months. In China, the largest car market in the world, sales are on pace to top 1 million in 2018 alone, and will easily be pushing past 5% market share by next year. In California, sales of electric vehicles are already powering towards 10%. Of course, it’s still only a drop in the ocean. There are 2 billion cars on the planet, and with an annual production capacity of roughly 100 million cars, it takes about 20 years to update the global fleet. 4 million electric vehicles hasn’t yet had any effect on transportation emissions or oil production. They’re still a fraction of the world’s total. However, electric vehicles are on an exponential trajectory that looks every bit as extraordinary as the ones for wind and solar. There are two reasons for this. The first is the rising cost of complying with emissions regulations. 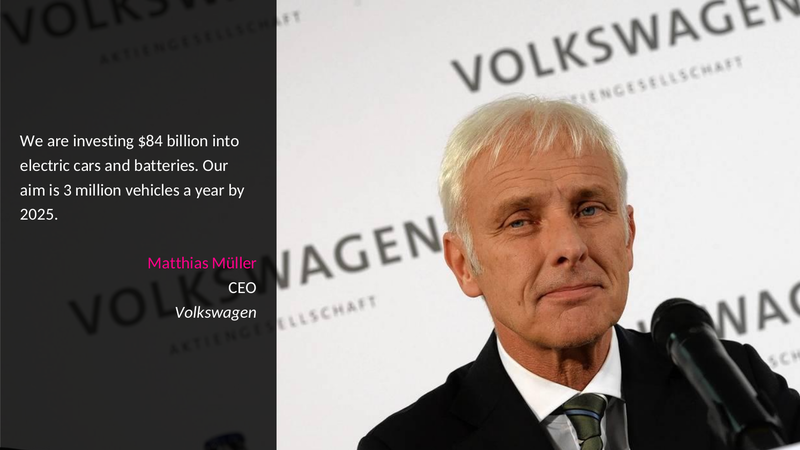 In Europe for example, a tougher testing regime, introduced in the wake of VW’s diesel-cheating scandal, is making emissions targets too hard to reach with combustion engines, regardless of efficiency gains or weight reductions. Likewise, California’s new zero carbon goals are going to mean stricter vehicle standards, and pure electric vehicles will become the only way to meet them. In China, the government is using sticks and carrots. Automakers will be given tougher vehicle emission rules and quotas for producing zero or low emission cars from 2019. 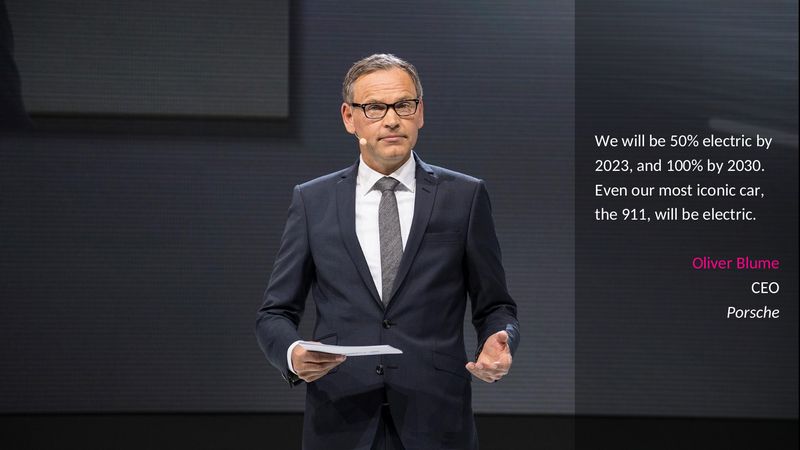 We’re also starting to see the announcement of bans on the sales of new petrol and diesel powered engines around the world. 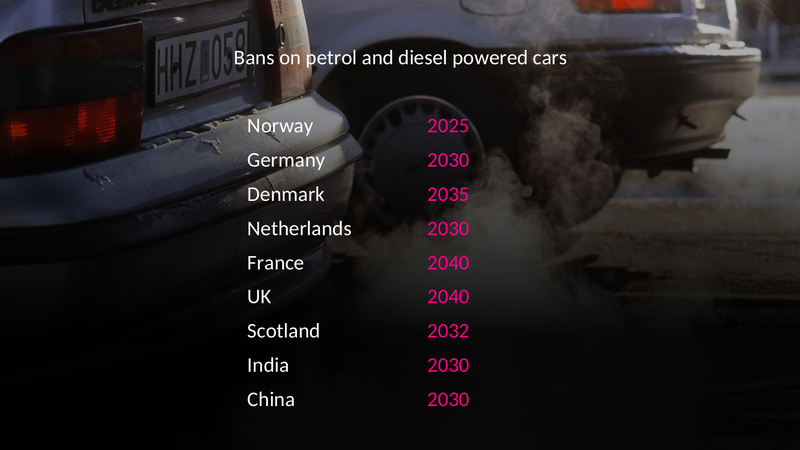 England, Wales, Northern Ireland, Austria, Denmark, France, Germany, Netherlands, Norway, Scotland and Spain have all committed to bans before 2040. India has done the same, as have Costa Rica, Israel, South Korea, Taiwan, and most importantly of all China, which has committed to no new sales of petrol and diesel powered vehicles from 2040. Indeed, China is already buying more electric cars than any other nation and its middle class’s buying power will only keep growing. This process is going to accelerate as the price of electric vehicles comes down. Battery prices, which account for almost one half the cost of electric cars today, are falling by as much as 20% a year. In 2010, their average price was $1,000/kWh. Today it’s $190/kWh for the Tesla Model 3. They still need to fall another 50% before electric vehicles become cost competitive, but that’s happening quickly. 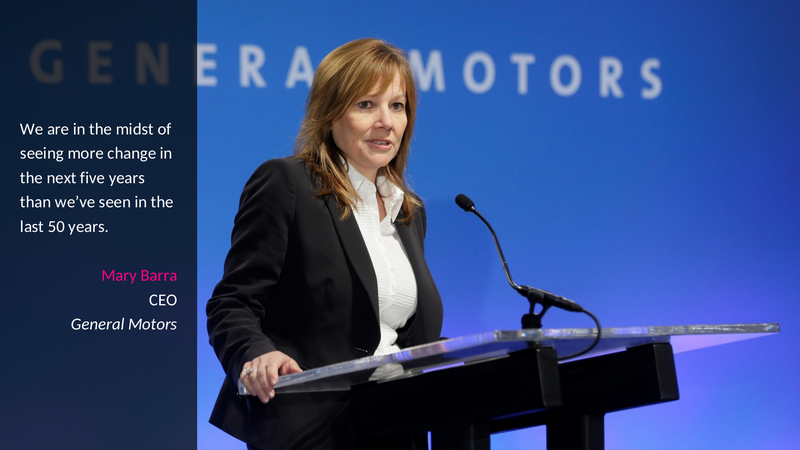 General Motors for example, says that by reducing the amount of expensive cobalt and adding nickel, its battery costs will drop by 45% over the next three years. In China a company called CATL is planning a $1.3 billion lithium-ion battery factory with enough capacity to surpass Tesla. Assuming the prices continue on the same curve, batteries will fall another 54% to $96/kWh in 2025, and 67% to $70/kWh by 2030. 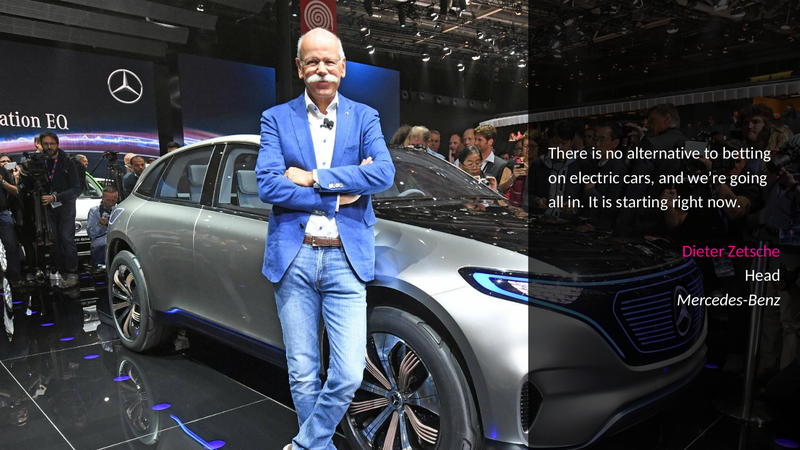 According the latest study from Bloomberg, by 2040, 55% of all new car sales and 33% of the global fleet will be electric, turning the global auto industry upside down. Electric vehicles are also just better. Costs and range get most of the attention in the media, but the truly revolutionary bit is actually the drivetrain. That’s because the drivetrain for an internal combustion engine contains about 2,000 moving parts while an electric one contains about 20. A system with two orders of magnitude fewer parts is way more reliable and saves money by eliminating around half the cost of traditional car maintenance. There are fewer metal things rubbing against other metal things. That gives electric vehicles much longer lifespans. The average combustion vehicle lasts about 250,000 km, while current estimates for the lifespans of today’s electric vehicles are around 800,000 km. You know how the value of a car drops by a quarter when you drive it out the dealer? Well, not if it’s electric. The world is divided into two camps. 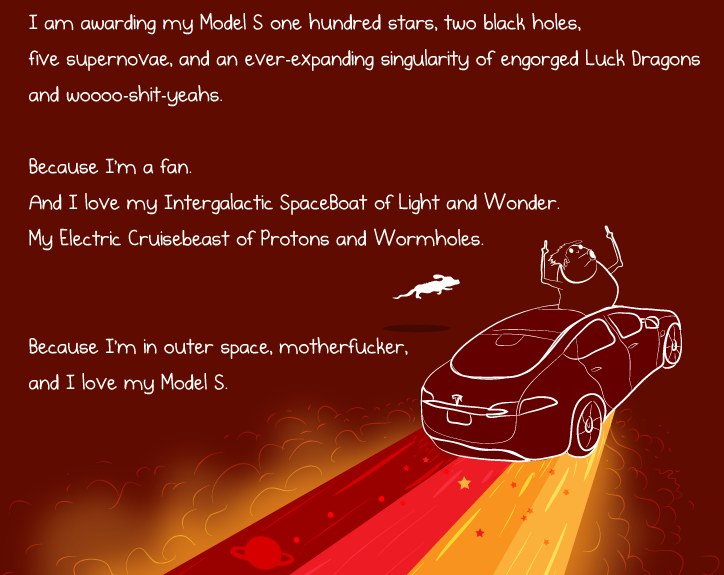 Those who’ve driven a Tesla and those who haven’t. And when you drive a Tesla it’s nothing to do with climate change, you think, my goodness, this thing goes fast. A perfect storm of factors are lining up to make this revolution possible: rapidly falling battery costs, rising range, synergy with other new energy technologies, widespread international policy support, growing consumer interest and wireless charging. That’s why car manufacturers are now all piling in. Toyota, General Motors, Mercedes, Volkswagen, Hyundai, they’re all putting their money and reputations behind electric vehicles. 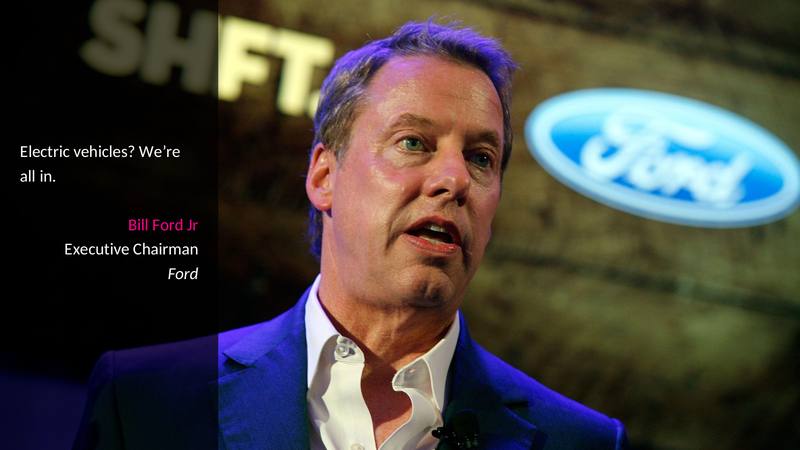 In the last 18 months, we’ve seen the announcement of an investment tsunami by global automakers. Here’s a few choice quotes from some of the biggest players. There are new entrants into the EV game too. For example, most people have never heard of BYD, a Chinese company founded in 2003 that employs 220,000 people worldwide. The firm has ranked top in China for EV sales for four successive years and globally for three successive years. And while Tesla awaits permission from Chinese regulators, BYD has just launched the world’s biggest battery factory, in the northwestern province of Qinghai. It will eventually produce enough batteries to power 570,000 electric vehicles a year. 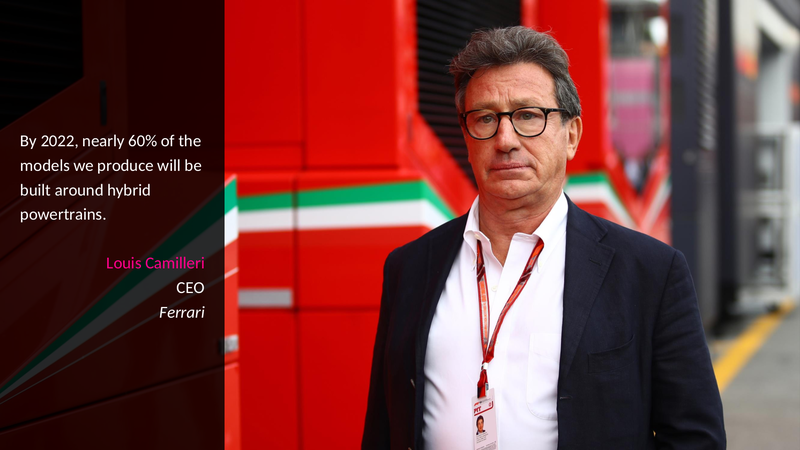 It’s not just cars they’re concentrating on either. In 2011, Isbrand Ho, the European managing director of BYD, was laughed out of the room at a conference in Belgium when he introduced a prototype of the electric bus his company had developed. “Everyone was laughing at us for making a toy,” he recalls. By the end of 2017, BYD’s home city of Shenzhen had managed to electrify its entire fleet, 16,359 buses, and by the end of this year, all 13,000 taxis will be electric too. Just to put that into perspective, that’s larger than the entire bus fleets of New York, Los Angeles, Toronto, Vancouver, Montreal and Chicago combined. Following the success of that project, China is now rolling out electrification in every single city, adding an electric bus fleet the size of London’s every five weeks. 17% of China’s municipal buses are now electric (compared to 0.5% in the United States). It’s not just China either. 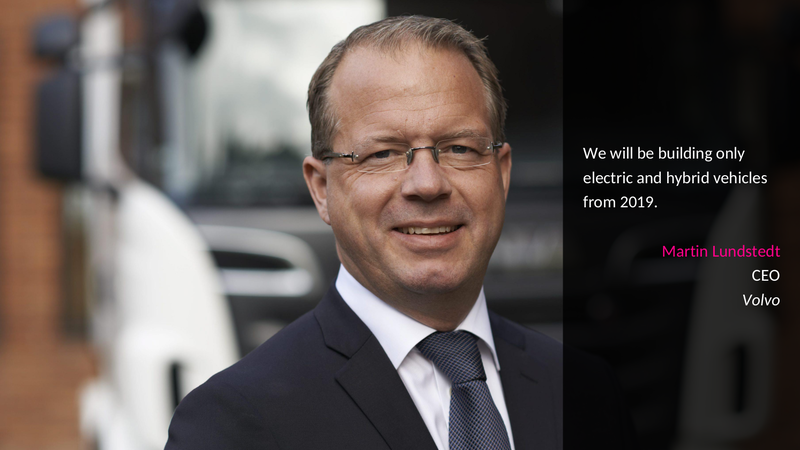 There are now over 400,000 electric buses on roads around the world, in the UK, Poland, Brazil, Portugal, and Korea. Oslo plans to add 70 electric buses by next year and Paris is making plans to add 1,000 of them over the next 5 years. As a result, Bloomberg says electric buses will be displacing 279,000 barrels of diesel fuel per day by the end of this year. That’s about as much as Greece consumes on a daily basis. If things keep up at this rate, the total number of electric buses in service around the world is forecast to more than triple, from 400,000 to about 1.2 million in 2025, equal to about half of the worldwide city bus fleet, and by 2040, it should reach around 80%. A lot of the attention in the transportation sector is on passenger vehicles, as they make for great headlines. But public transportation is probably going to the place where the clean energy transition, at least when it comes to transportation, is going to happen first. That’s because buses have fixed routes, depots for overnight charging and do the majority of their mileage in cities, which makes them especially suitable for electrification. Cities also tend to be a lot more progressive than countries when it comes to taking action on climate change, and public transportation is one of the areas where mayors have real autonomy. Electric buses make for really good politics. They’re better for budgets, for a start. While the upfront costs for clean buses are still about twice as much as for dirty buses, the long term savings from fuel and maintenance costs more than makes up for it. At Shenzhen Eastern Bus Co for example, one of the three big fleet operators in the city, the monthly electricity bill of 17 million yuan is one-third of what its diesel bill used to be. And they’re better for citizens; Shenzhen once had some of the worst smog in all China. Today, it’s got some of the cleanest air in the country, and even more interestingly, it now looks like it will be the world’s first mega city to go quiet. Today, the citizens of Shenzhen can hear the birds tweeting overhead, and the sound of people chatting on the other side of the road as they hang up their washing. That’s the kind of story other mayors around the world would love to be able to tell in future election campaigns. A fire-eater must eat fire, even if he has to kindle it himself. When most people hear the word “gas” they usually think about it as a fuel source for creating electricity. For many energy analysts, gas is the natural successor to oil as we climb up the fossil fuels food chain. It’s cleaner, burns better, and power utilities have had many decades of practice in converting it it into electricity. However, natural gas is still a fossil fuel. It might be cleaner than coal or oil, but it’s not going to stop climate change. It’s not a long term solution. Fortunately… electricity conversion goes both ways, and that’s where hydrogen comes in. If you’ve got spare capacity in your electricity system, you can use that energy to turn hydrogen (the most abundant element in the universe) into a transportable fuel. It’s an alternative way of storing excess electrons from a renewables system, and the end product is easy to move around. And since a lot of countries already have a well-developed gas infrastructure to provide storage capacity, it doesn’t require a huge new build out. 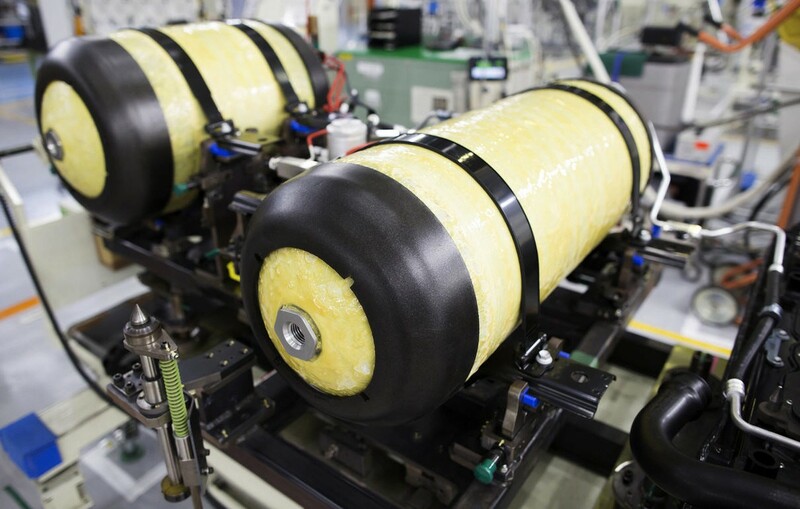 Electrolysers can easily and flexibly convert large amounts of surplus electricity into hydrogen; there are already more than 20 plants of this type operating in Germany at present. That hydrogen can be used in fuel cell vehicles or stationary fuel cells, or stored for buses and trains. 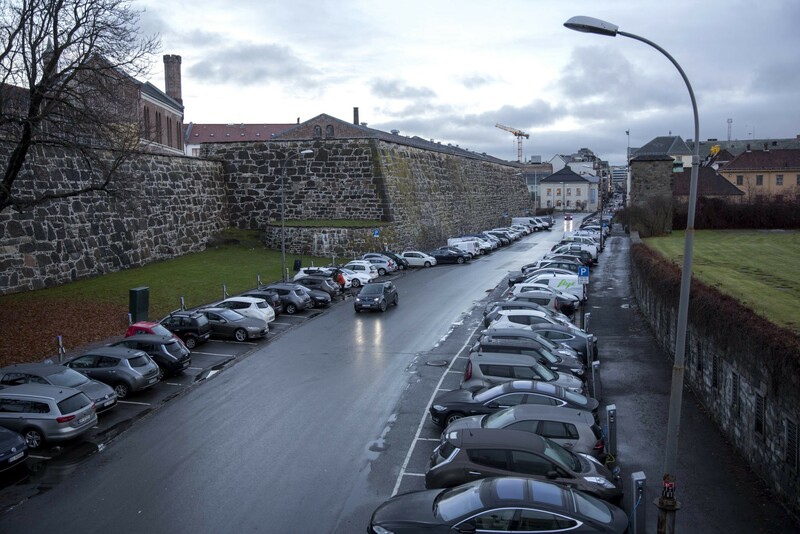 Norway has had hydrogen refueling stations since 2006, and Japan is planning to use the 2020 Tokyo Olympic Games to showcase its vision for a hydrogen society and has invested US$348 million in establishing hydrogen refueling stations and other infrastructure. 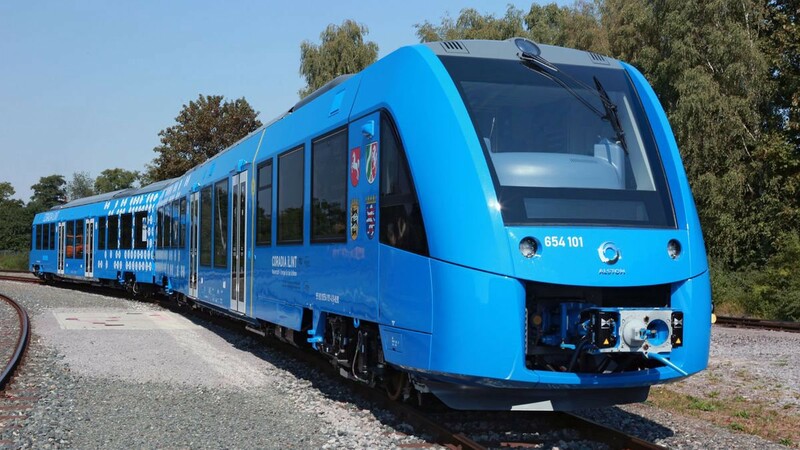 In Germany, the transport authority of Lower Saxony signed a deal last year for 14 hydrogen fuel cell trains, along with 30 years of maintenance and fuel, and the first train was delivered this summer. It’s powered by a hydrogen fuel tank on its roof that converts hydrogen and oxygen into electric power, with the only by-products being excess steam and condensed water. A backup system of lithium batteries provides extra power if needed, making the train completely carbon-free. Switzerland is purchasing 1,000 hydrogen-powered trucks, South Korea is investing US$2.33 billion over the next five years to create storage and refueling stations, fuel-cell plants, and fuel-cell buses, and the city of Jinan, China is currently building 2,000 hydrogen fuel buses with the goal of taking a global lead in the building of a green city and a hydrogen energy society. Hydrogen fuel-cell vehicles now match or even exceed the range of conventional gasoline or diesel vehicles and that makes them a far more attractive prospect for long distance travel than a battery-powered vehicle. That’s important, because after the cars, and the delivery vans, and the buses, and even the trucks, comes the harder stuff: aviation, long-distance transport, shipping and the production of carbon-intensive structural materials such as steel and cement. And for most of these, wind, solar and batteries just won’t cut it. Jet fuel for example, has a power-to-weight ratio of over 30 times the current generation of batteries. So even if batteries improve by a factor of 5 or more between now and 2050, electric passenger aviation is going to be impossible for anything but the smallest planes. Likewise for shipping. Right now we don’t really have any idea how many of these problems around transportation are going to be solved. Astonishing progress is being made on fuel cell technologies, super-efficient industrial processes, synthetic fuels, industrial biochemistry, and new materials like graphene and aerogels. But it’s still early days. None of these technologies are cost-competitive yet. We can only hope that they all benefit from the same fearsome learning curves as we have seen in wind, solar and batteries. It was the soul of the machine, the ethological epicentre, the planetary ground zero of their commercial energy. I could almost feel it, shivering down like bomb-blasted rivers of glass from these undreaming towers of dark and light invading the snow-dark sky. So. If we think that solar, wind and battery technologies are going to keep on getting cheaper and better, and if we believe that electric vehicles are going to become our dominant mode of transport in the next few decades, and if we think we might even be able to solve our harder to fix parts of the energy system like aviation and industry, then how does a system like that actually fit together? To answer that question, let’s go back to the beginning, to our old friend Vaclav Smil. Remember, we are talking about an energy transition, and it’s a big deal. The Trillion Dollar Time Trial isn’t about swapping fossil fuels out for renewables. It’s about a wholescale rearrangement of the entire energy system. The key word here is rearrangement. Past transitions always involved moving to higher densities of energy. The move from fire to agriculture allowed us to do more things with less stuff, and the same was true when we moved to fossil fuels. Each transition benefited humanity by allowing us to get more energy from a given area of land — and therefore rearranged the way we live. The clean energy transition is different. The energy density of wind or solar installations is less than that of oil and gas, and that means that clean energy takes up more space, not less. That 1GW coal plant? It’s got a much smaller physical footprint than 3.125 million solar panels. According to Smil, “mass adoption of renewable energies would thus necessitate a fundamental reshaping of modern energy infrastructures.” A clean energy transition requires us to go from harvesting energy from concentrated sources and diffusing it outwards, to gathering energy from diffuse sources and concentrating it inwards towards relatively few centres. This is fundamentally, a very different way of organising how we use land. It’s a move from a centralised system to a decentralised one. That comes with some pretty serious challenges. For a start, there’s the problem of seasonal extremes. At one end of the spectrum we’ve got good days, when the sun is shining and the wind is blowing. As we start to make more and more of our electricity system clean, we’re going to be getting strings of those kinds of days when the amount of energy we produce is far more than the demand. We’re going to have to figure out how to handle all that excess capacity. We can store some of that with batteries, but remember that the batteries are really there for grid modulation, not for storage. At the other end of the spectrum are the low renewables days; during winter these can last for weeks on end. In these periods, it doesn’t matter how many batteries you have, the wind and solar assets simply can’t produce enough electricity to meet demand. At the same time, energy consumers are becoming more concentrated. Economies of scale bring higher-intensity manufacturing to smaller areas, and people are becoming increasingly concentrated in denser and denser cities. It means that while our energy system is becoming more diffuse, the places where that energy is needed are becoming more concentrated. If the first phase of the clean energy transition involves replacing power generation with renewables (something we’ve seen can happen in an unexpectedly short time) then a key element of the second phase is dealing with the task of integrating fluctuating renewable generation as effectively as possible. The answer to all of this lies in the grid. It’s not just about how you create energy, it’s about how to distribute it — and in a decentralised system built around wind and solar, the grid needs to get a lot bigger, and a lot more flexible. If your grid is spread over a large enough geographical area, then you’re always guaranteed that the sun is shining or the wind is blowing somewhere. That excess power generation can be moved to the places where it’s needed most, and storage and modulation solutions can help fill in the gaps. 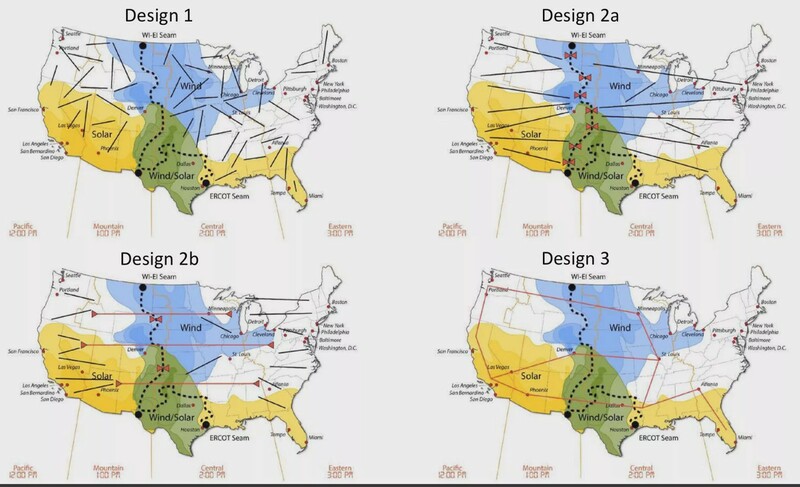 It means that an energy regime based on wind and solar needs to lay a lot of lines through different jurisdictions, capable of providing flexibility by carrying power over large distances. In some cases, that’s a big technical challenge. 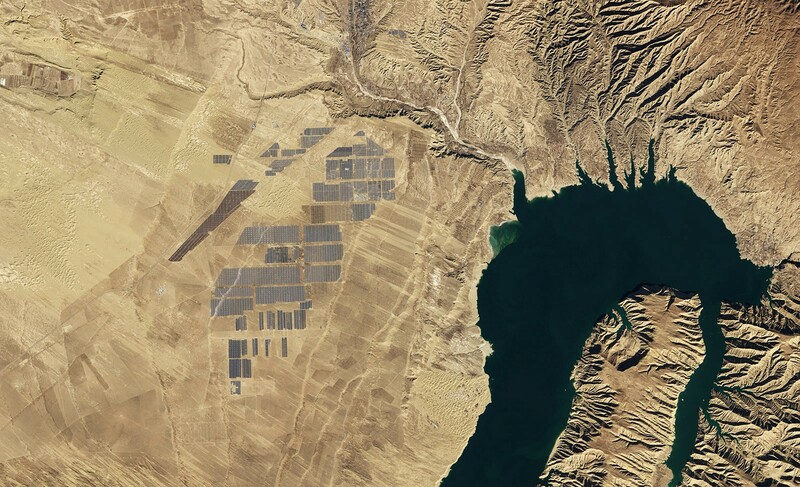 The vast, sun-drenched plains of north and north-western China, for example, have become home to huge solar farms. Their construction has also been moving at a blistering pace, for example, like the huge 850 MW Longyangxia Dam on the Tibetan Plateau, with its four million panels. The largest solar plant in the world at the moment is in China’s Tengger Desert — its capacity exceeds 1.5GW. There’s plenty of space out there to build them and the solar resource is reasonably reliable. However, the vast majority of China’s people, 94%, live in the eastern portion of the country. That means that a lot of power is lost along the transmission lines, hundreds of kilometres long, that connect distant solar farms to places that need electricity. The result of this is a staggeringly low capacity factor. According to the China Electricity Council, in the first six months of 2018, the capacity factor of Chinese solar equipment was just 14.7%. That means that while a Chinese solar farm may be billed as having a capacity of, say, 200 MW, less than a sixth of that on average actually gets used. In some countries turning away from gigantic, remote solar farms, and toward local generation might make more sense. Take Australia. While the country’s political leadership on energy has been appalling, its track record on small scale clean energy is stellar. Australia has the greatest concentration of rooftop solar per capita in the world, hitting two million roofs in 2018 — a huge achievement considering a decade ago there were less than 100,000 roofs with solar panels on them. South Australia now regularly gets more than half of its electricity demand for electricity from solar during the day, and most of that comes from rooftop installations. The Australian Energy Market Operator predicts that within the next few years, the amount produced by rooftop solar may exceed grid demand in places like South Australia and Western Australia. In other countries, the barriers aren’t technical, or even financial. They’re political. In the United States for example, there are three major grids. While there are a few small ties between them, very little energy is exchanged. They mostly operate in isolation, with their own set of laws, rules, jurisdictions, governance and business models. It’s not simple a case of flicking a switch and saying “everyone needs to share nicely now.” Creating a unified, national grid there requires the kind of political leadership that simply does not exist in 2018. It does exist in other places though. Until November 2017, Chile had separate power grids for its northern and its more populous central regions, leaving most of the country’s population cut off from the renewable energy resources enjoyed by the mining companies. However, a massive government project to connect the two grids, begun in 2015, now gives broad access to Chile’s abundant wind and solar energy resources in the Atacama desert, more of which is being pumped into the grid as transmission lines are completed. Chile is now producing around 20% of its electricity from solar and wind sources and this year set a new target of 70% renewable electricity by 2050. What about the electric vehicles? A clean energy grid doesn’t just need to be bigger and more interconnected, it also needs to be more flexible. And that’s where electric vehicles come in. Each of those vehicles has a battery, which means they don’t just charge from surplus electricity; they can reliably store it and feed it back into the grid when needed. They’re the ultimate decentralised energy resource. The batteries of one million electric vehicles, for example, would have greater storage capacity of all pumped storage power plants in Germany. And because each of those vehicles is also a computer, they’re smart, able to exploit advantages such controlling charging time, strains on batteries, adjusting to live electricity prices and grid loads and preventing simultaneity and grid bottlenecks. Electric vehicles can help smooth electricity usage through the hours of the day. They can charge when demand is low and feed back into the grid when demand is high. Perhaps most importantly, they move — meaning you can incentivise owners using pricing to charge and feed back into the grid in different geographical locations. Once you’ve got a global fleet of hundreds of millions of electric vehicles, you’ve also got a much smarter, more efficient global grid. That’s why the UK’s National Grid now sees a real possibility of a 100% switch to low carbon energy, powered by small scale community renewables with balancing of energy supply carried out by car batteries and by turning surplus power into usable fuels via electrolysis to make hydrogen. 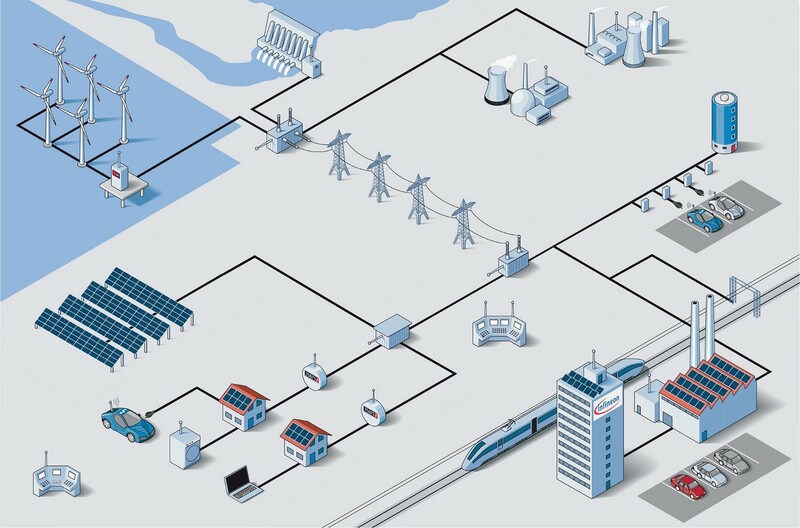 Smart grids can be helped even further by the electrification of heating. Worldwide, heat accounts for nearly 50% of final energy consumption, so it’s obvious that the thermal sector plays a crucial role. Right now, especially in northern hemisphere countries, a lot of heating is done via gas. The energy transition is therefore going to have to replace all that gas heating with electric heaters, electrode boilers or heat pumps for use in a district heating system or in private households. The same principle also applies to power-to-cold systems used for district cooling, particularly in warm climates. Once again, that new generation of electricity based heaters and coolers are smart, with digital capabilities. It means that you can network, for example, household boilers and uses them to store up to six hours of heat. Combined with an intelligent load management system, simultaneous heating in the households can be avoided and peak loads lowered. Transitioning transportation and heating/cooling over to electricity would create a huge new source of dispatchable load. Surplus renewable electricity can be stored in a fleet of electric vehicle batteries, or as heat in water heaters, or as ice in air conditioners, and used when wind and solar production has slowed. Hundreds of millions of consumers can run their own generation and storage solutions. Electricity is generated as close as possible to the point of use, used efficiently and the loads are managed to match the supply, with the help of a little storage. That combines with new innovations in the digital space, as smart meters, IoT sensors, network remote control, management systems and payment platforms evolve to focus on optimisation and aggregation. Those new payment platforms are particularly interesting. PJM, the largest US regional grid, has just begun an experiment with the Swiss Energy Web Foundation to offer blockchain based trading of renewables, including domestic solar but also large scale purchases and sale. The intention is to develop a system that allows ‘hundreds of thousands’ of solar and wind sites to trade in kilowatt hours, selling to customers which want to buy only renewable energy. It may take another few years, but the involvement of one of the most respected grid operators in the world suggests that blockchain, or technologies like it, are close to commercial viability. That’s the beauty of a flexible grid. 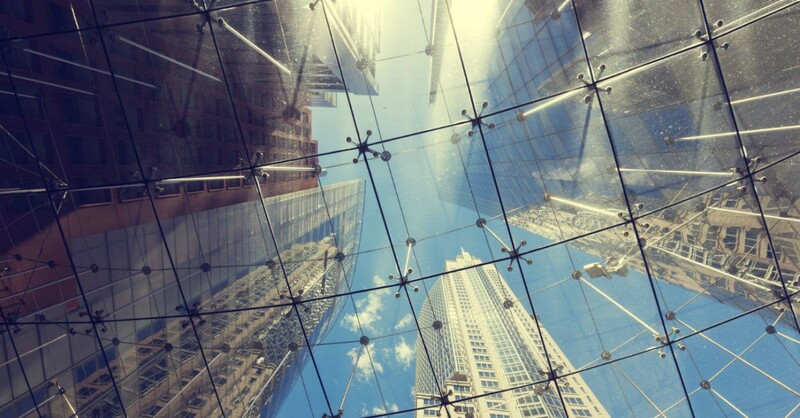 It doesn’t get better through retrofitting — it gets better through added connectivity. By adding millions of new connection points, all those Powerwalls and car batteries and smart meters, you get an entirely new kind of thing. It will, of course, take decades; but what we know now is that it will be possible someday to run an energy grid almost entirely on wind and solar, using demand-shifting, energy storage and new payment platforms. And that means that the story of energy changes from one of resource economics and fuel extraction, to a story about pricing and incentives. Instead of headlines about new energy plants, or thousands of kilometres of lines and poles and wires, it turns into a story about manufacturing, the large-scale production of millions of modular components — batteries, turbines, heat pumps, meters, panels — in a competitive high tech environment with learning curves that drive incredible new innovations and dramatic cost declines. By the time we get to the end of the Trillion Dollar Time Trial, the global energy system will be utterly reshaped. But none of it’s going to happen if we don’t get the most important thing of all right.